The largest of the primate species, gorillas rank amongst the most recognized and the most endangered species in the world. Much of our cultural fascination with gorillas centers around just how human they can seem. Like us, gorillas’ hands have opposable thumbs, and they can walk upright on two legs. They are intelligent, interactive, and identifiable. The gorilla lifespan can be up to 50 to 60 years in captivity (though they tend to die younger in the wild). They even have impressive language skills! These gentle giants have loomed large in the public consciousness for nearly a century, ever since a fictionalized version of the great ape, King Kong, began appearing in movies in 1933. The 1988 film Gorillas in the Mist showcased the groundbreaking work of Dian Fossey, a highly controversial figure in the world of gorilla conservation. Fossey was not only a trailblazer in primatology and gorilla research, but she’s widely credited with habituating the Mountain Gorillas in Rwanda to human presence. More recently, Project Koko turned a young female gorilla into an international celebrity. Koko taught from an early age to communicate with American sign language, could use over 1,000 signs and understand over 2,000 spoken (English) words. By the time she passed away in 2018 at age 46, Koko had learned to adapt and combine words to express herself. In 2016 gorillas were dominating headlines again, but for all the wrong reasons. A 17-year-old silverback gorilla named Harambe was shot in the Cincinnati Zoo after a three-year-old boy fell into his enclosure. The incident instigated a huge amount of public debate, and drew further media attention to the increasingly endangered species. 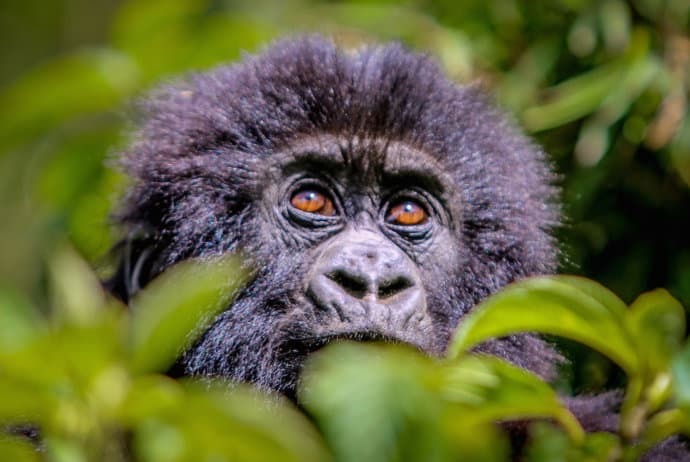 So, with interest in the species at an all-time high, perhaps it’s no surprise that the popularity of gorilla safaris has surged dramatically in recent years. Travelers pay anywhere from $600 (in Uganda) to $1500 (in Rwanda) for a gorilla trekking permit. This allows a group of up to 8 people to spend an hour with a gorilla family in their native habitat. 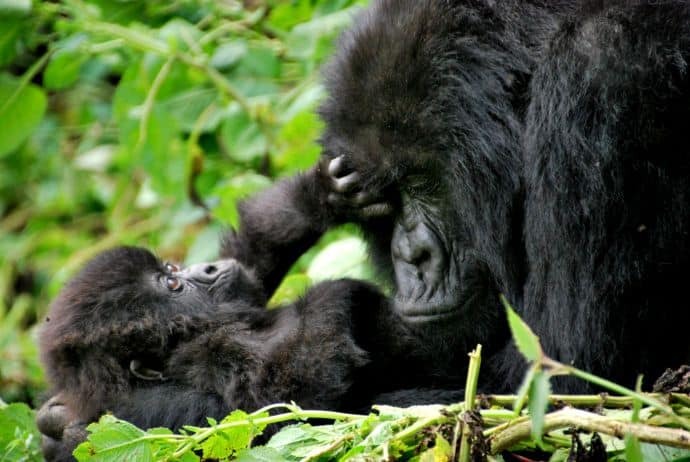 Gorilla watching trips are an incredible experience, with baby gorillas clinging to their mothers as silverback gorillas watch over them protectively. Rules state that visitors must maintain a safe distance, but the gorillas don’t always follow the rules. 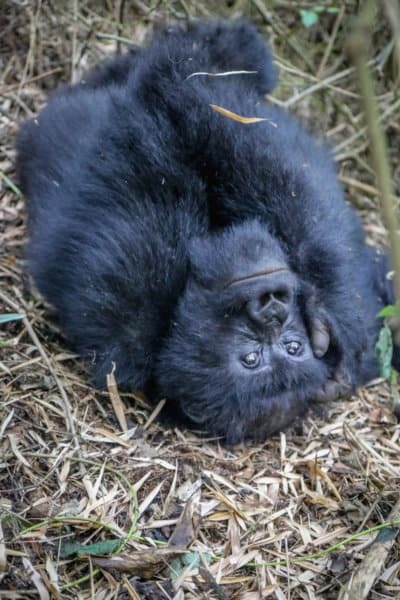 GGT founders Bret Love and Mary Gabbett describe their time in Rwanda’s Mountain Gorilla habitat as life-changing. 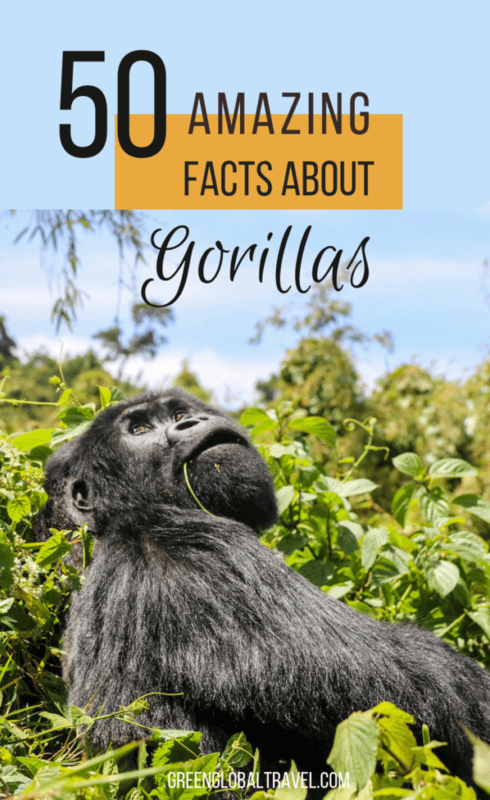 So here’s a look at 50 interesting facts about gorillas, including trivial tidbits about different types of gorillas, why gorillas are endangered, gorilla conservation efforts, and much more. 1) Gorillas are primates, an order of mammals that also includes monkeys, apes, tarsiers, lemurs, and humans. In fact, they are considered the largest primates in the world. Despite often being referred to as monkeys, they are not. They are great apes. Amongst various other differences, monkeys have tails while apes do not. 2) There are two gorilla species: Eastern and Western. The scientific name for Eastern Gorillas is Gorilla berinngei, and the scientific name for Western Gorillas is Gorilla gorilla. There are four gorilla subspecies. 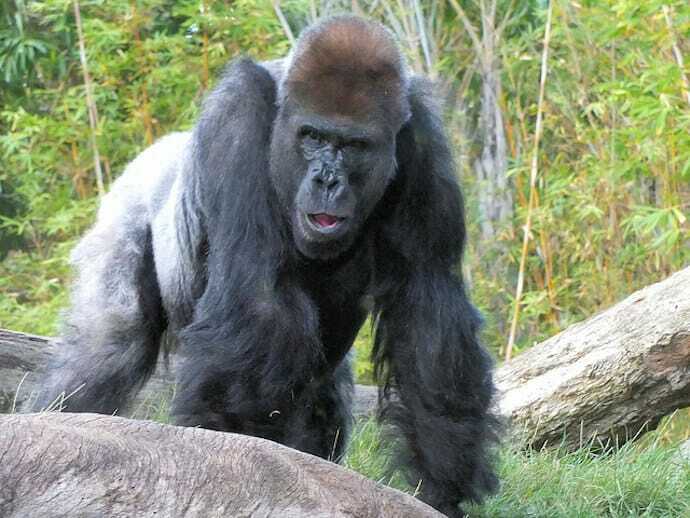 Western Lowland (Gorilla gorilla gorilla) and Cross River (Gorilla gorilla diehli) are the two western species. 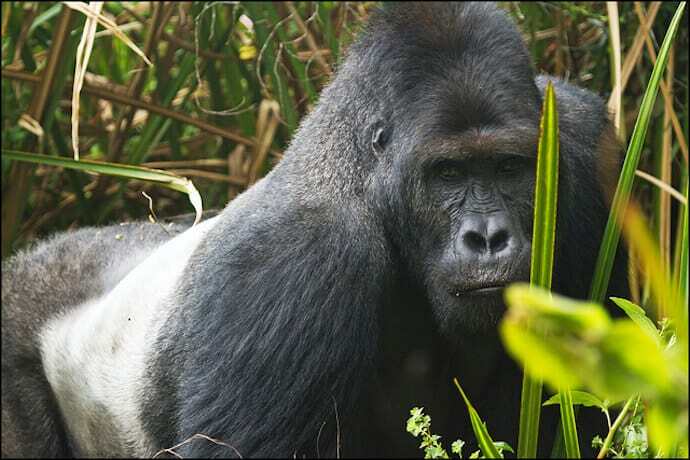 Eastern Lowland (Gorilla beringei graueri) and Mountain (Gorilla beringei beringei) are the two eastern subspecies. Western gorilla subspecies tend to be brownish-gray, while eastern gorilla subspecies tend to be blacker. 3) After chimpanzees and bonobos, gorillas are the closest primate to humans (or any animal, for that matter) in terms of their genetic make up. Gorillas are very intelligent, and often prove it with their ability to laugh, express sadness, and convey other emotions. 4) Gorillas can learn sign language, utilize rudimentary tools, and even make some of their own tools. Gorillas’ hands even have unique fingerprints, like humans (and koalas). 5) Though gorilla size varies by species, most adults measure somewhere between four and six feet tall when standing on their hind legs. Gorilla weight also varies by species: The smaller Western Gorilla weighs 150 to 400 pounds, whereas the biggest gorillas (Eastern Lowland) can weigh up to 550 pounds in the wild. 6) Gorillas’ arms are longer than their legs, which makes it easier for them to walk on all fours. They usually walk on the knuckles of their hands, which is appropriately referred to as “knuckle walking.” Though they are capable of walking on two legs, they can only do so for short distances, up to about 10 feet. 7) The gorilla’s strength is the stuff of legend, especially when it comes to the upper body. In fact, the average gorilla is roughly six times stronger than the average human. This arm, chest, and back burliness comes from the fact that gorillas still use their upper bodies for moving around and supporting their massive weight. 8) Gorillas in the wild typically live to be about 35 years old, sometimes up to 40. In captivity, the gorilla lifespan can be considerably longer, averaging about 50 years. The oldest known gorilla was a female that lived at Ohio’s Columbus Zoo & Aquarium. She lived to be 60 years old, and died in 2017. 9) Gorilla families are usually small groups of around ten or so individual members, though they can be as little as just two adults or as large as 50 animals. These groups of gorillas are called troops, or bands. 10) Troops are dominated by silverback gorillas, which are older male gorillas with gray fur on their backs. Average silverback gorilla weight is 300 to 400 pounds, but the biggest gorillas can grow to 500+ pounds. These protectors decide when the troop gets up, eats, moves, and rests. Silverbacks can be more dominant and aggressive (and are known to beat their chests) when they perceive a threat. However, like all gorillas, they are generally very peaceful creatures. 11) The remainder of the troop will consist of numerous females, with which the silverback mates, and the young offspring produced by the silverback and these females. Silverbacks have exclusive rights to mating with the females of the troop, and will often cast out male offspring once they get old enough to mate. 12) Gorillas gestate for 8.5 months, which is only slightly less time than humans. And, like other primates, a mother usually gives birth to just one live baby. Twins are rare, but do happen occasionally. Most baby gorillas weigh about four pounds at birth. A mature female will have one baby every few years, and normally only three to four over a lifetime. 13) Baby gorillas are called infants and will nurse until they’re about three years old. By two months they can crawl, and by eight or nine months they’re able to walk. Mothers carry baby gorillas in their arms until they’re about four months old. After that, they begin to ride on their mothers’ back. They do this until they are two or three years old. 14) Gorillas reach maturity between seven and 10 years old, at which time they leave the troop to search for a mate. Young males, called blackbacks, can wander alone to become solitary silverbacks or find a mate and start a gorilla family of their own. Young females will typically find a mate and join another band. 15) Wild gorillas are only found in a few countries in sub-Saharan Africa. Western Gorillas live on the western side of the Congo River, while Eastern Gorillas inhabit the volcanic mountains on the eastern side. 16) Gorillas are ground-dwelling animals that reside in tropical and subtropical forests. They are at home in everything from the steamy and swampy lowland tropical rainforests to notably chilly montane forests. 17) Eastern Gorilla habitat includes altitudes as high as 13,000 feet above sea level, whereas the Western Gorilla habitat usually tops out at about half that altitude. 18) Western Lowland Gorillas are the most widely distributed subspecies. They inhabit Cameroon, Nigeria, the Central African Republic, the Republic of Congo, the Democratic Republic of Congo, Equatorial Guinea, Gabon, and Angola. 19) Mountain Gorillas live in the Democratic Republic of Congo, Rwanda, and Uganda, either in the Virunga Mountains (which straddle all three countries) or Uganda’s Bwindi Impenetrable National Park. 20) Cross River Gorillas, which are the rarest of the subspecies, only exist in a small region in Nigeria and Cameroon. 21) Eastern Lowland (a.k.a. Grauer’s) Gorillas inhabit the eastern side of the Democratic Republic of Congo. Their primary population centers are in Maiko National Park and Kahuzi Biega National Park, as well as the forests adjacent to them. 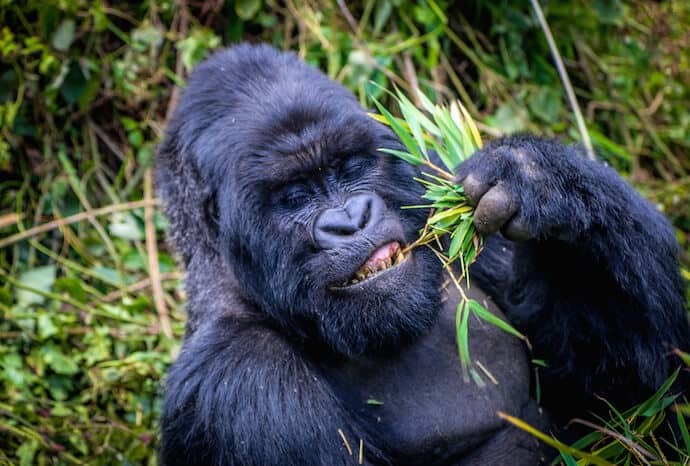 22) Gorillas are considered herbivores, because they primarily feed on a wide range of vegetation, including wild celery, bamboo, roots, and fruits. But the gorilla diet also includes bark, small branches, and tree pulp. Occasionally, to aid digestion, they’ll even eat soil and ash. And, although they’re not hunters, gorillas sometimes eat small animals and insects. 23) An adult male gorilla can eat up to 40 pounds of vegetation a day, which is about 10% of its total body weight. In terms of broccoli, that would be about 80 heads of broccoli in a day. In terms of lettuce, it would be roughly 23 heads of iceberg. That’s an awful lot of salad! 24) Gorillas are diurnal animals. Morning and evening are their main feeding times, but they can often be seen snacking on leaves throughout the day. Midday is typically time for naps and grooming, but baby gorillas and young adolescents might play. At nighttime, the entire troop sleeps. Gorillas actually make beds out of leaves and twigs, and these are called nests. 25) Amazingly, gorillas don’t often require sources of fresh water for hydration. They generally get adequate moisture from the food they eat and the morning dew on it. 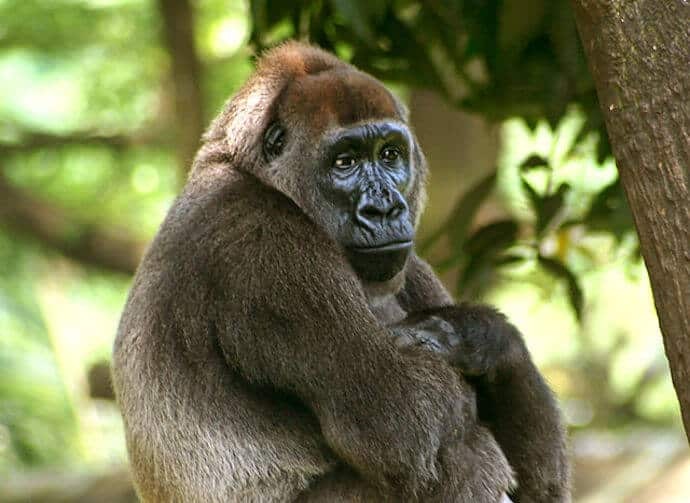 26) The Cross River Gorilla (Gorilla gorilla diehli) is the least populated of the subspecies. A 2014 study suggests that there are less than 250 mature Cross River Gorillas left in the wild, making them one of the world’s most critically endangered primates. 27) They’re part of the Western Gorilla species, but have distinct differences from the Western Lowland Gorilla (which are found nearly 200 miles away). Though the two subspecies have similar body size, the Cross River Gorilla has a noticeably smaller palate and cranial vault, shorter skull, and shorter hands and feet. 28) Where other gorillas have been habituated to human presence, the subspecies is particularly wary of people. Cross River Gorilla habitat covers rough terrain on the Cameroon-Nigeria border that prevents easy observation, with the remaining 11 groups roaming a relatively small area of roughly 3,000 square miles. 29) Despite being in a tropical part of the world, Mountain Gorilla habitat can have freezing temperatures due to the high altitude. To help them survive the colder climates of the high mountain elevations (8,000-13,000 feet), they have longer, thicker hair than other subspecies. 30) Unfortunately, human encroachment is pushing the Mountain Gorillas even higher up into the hills. If this trend continues, they may soon be forced to live at elevations where their fur is not warm enough to protect them from the cold. 31) About 2/3 of the Lowland Gorilla diet is focused on fruits, with the other 33% being greens and other vegetation. 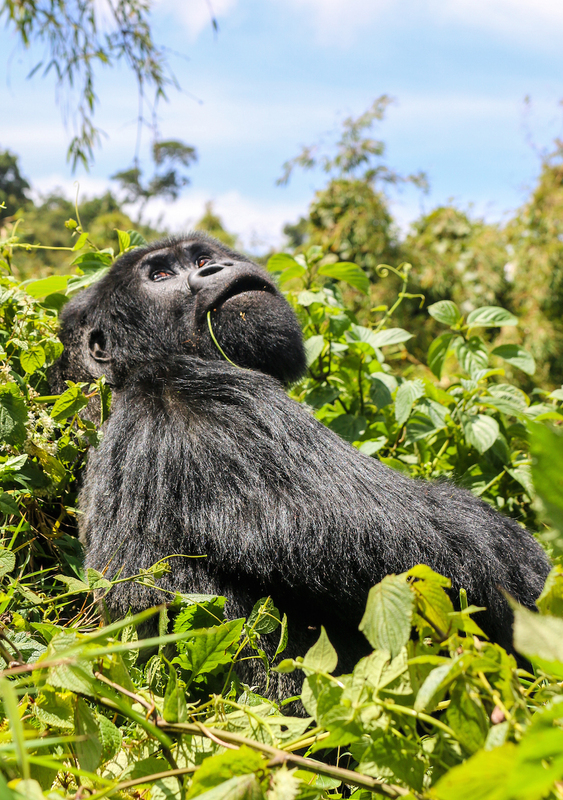 But over 80% of the Mountain Gorilla’s diet comes from leaves, shoots, and stems. 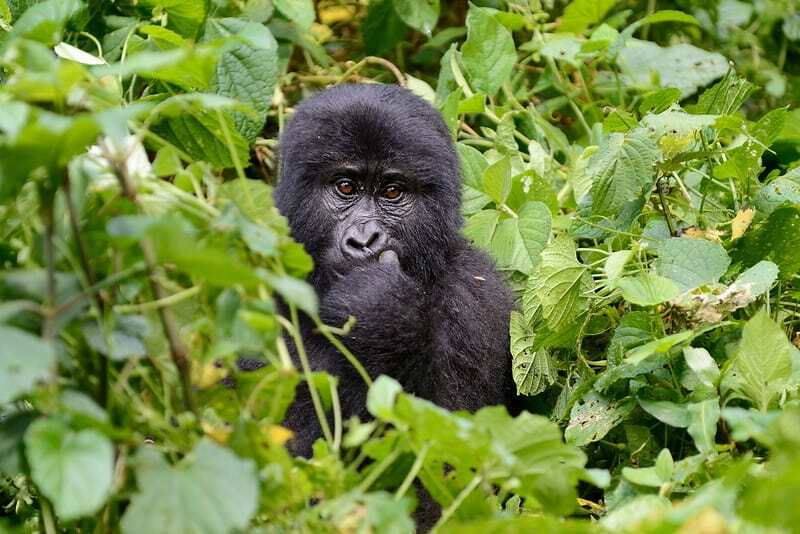 32) Amazingly, both populations of Mountain Gorillas– the one in the Virunga Mountains and the one in Bwindi Impenetrable National Park– have gradually increased in the last two decades. This is largely due to ecotourism and the conservation efforts of the Dian Fossey Gorilla Fund. All other gorilla subspecies have dwindling populations. 33) Western Lowland Gorillas are the most numerous of the gorilla subspecies. According to recent reports, there are now over 360,000 in the wild and over 4,000 in zoos. This is partly because they have the widest habitat range. 34) Unfortunately, the Western Lowland Gorilla population has declined by over half in the last 20 to 25 years. Scientists believe it would take over 75 years to recover the lost population, even if all threats to gorillas were removed immediately. 35) These gorillas have noticeably different traits than the other subspecies. They tend to be slightly smaller, and they have brown-grey coats with auburn chests. Their heads are also different, with wider skulls, more pronounced brows, and smaller ears. 36) Eastern Lowland Gorillas are also known as Grauer’s Gorilla. There are only about 5,000 of them remaining in the wild, which is a sharp decline from an estimated population of around 17,000 animals in the mid-1990s. Since then the gorilla’s habitat has shrunk from 8,000+ to 5,000 square miles, and they now occupy just 13% of their historical range. 37) The decline was caused in large part by poaching due to the ongoing civil unrest in the Democratic Republic of Congo. As a result of the conflict, an accurate census is no longer possible. But Dian Fossey Gorilla Fund researchers discovered a previously unknown population in Maiko National Park in 2017. 38) There is only one Eastern Lowland Gorilla currently living in captivity– a lone female living at the Antwerp Zoo in Belgium. 39) Eastern Lowland Gorillas are the largest of the four subspecies. They are differentiated from other subspecies by a stockier body, larger hands, and a shorter muzzle. 40) Gorillas in Africa are gradually dwindling in population, due to a variety of reasons. Some are being hunted for “bush meat” in war-torn areas, or poached for the illegal wildlife trade. There’s a widespread loss of gorilla habitat due to logging, mining, and agriculture, which has led to more cases of human conflict. 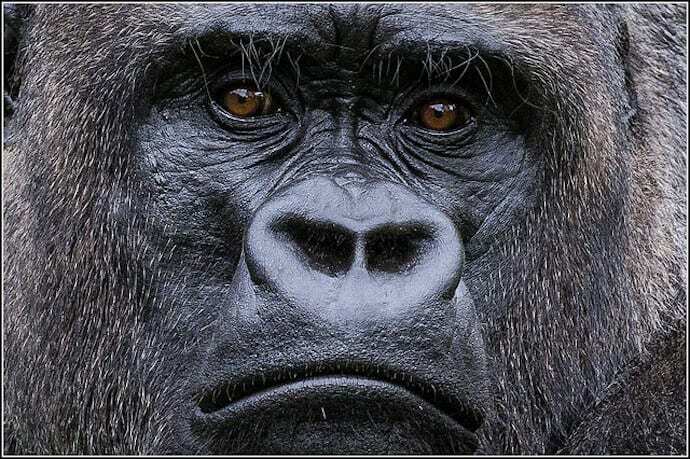 41) Gorillas also struggle with infectious diseases. Due to similar genetics, gorillas are infected with many of the same diseases that affect humans. 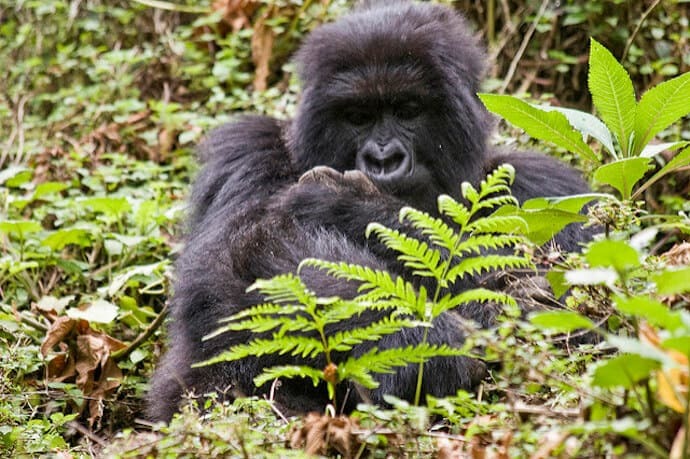 Travelers who go gorilla trekking in Rwanda and Uganda are urged not to do so if they have any hint of infectious disease. 42) Cross River Gorillas are the most critically endangered gorillas, with a projected population of under 300 remaining. The Eastern Lowland Gorilla is also listed as critically endangered, with less than 3,500 left in the wild, as is as the Western Lowland Gorilla. There are only around 1,000 Mountain Gorillas left, but they were reclassified as endangered in 2018 because their population has increased by 50% since 2008. 43) Founded in 1991 in coalition with Flora & Fauna International and World Wildlife Fund, the International Gorilla Conservation Programme was created to conserve mountain gorillas and gorilla habitat. The IGCP also works in partnership with the Rwanda Development Board, Uganda Wildlife Authority, and Institut Congolais pour la Conservation de la Nature to ensure long-term protection of the gorillas. 44) The Dian Fossey Gorilla Fund International was created in honor of the famed primatologist, who founded a research center in the Virunga Mountains in 1967 to protect and study Mountain Gorillas. Though her life was taken in 1985, her Karisoke Research Center remains one of the preeminent centers for gorilla conservation, providing daily protection, scientific research, education, and community outreach. 45) World Wildlife Fund helps to develop ecotourism initiatives by training local gorilla trackers and guides. The NGO monitors locals gorilla populations and and tries to preserve gorilla habitat for all four subspecies. WWF also works with TRAFFIC, the world’s largest trade monitoring network, to prevent the illegal trade of gorillas and gorilla bushmeat. 46) The African Wildlife Foundation is another NGO with a special focus on Mountain Gorillas, purchasing land for habitat conservation and fostering community-based tourism development. 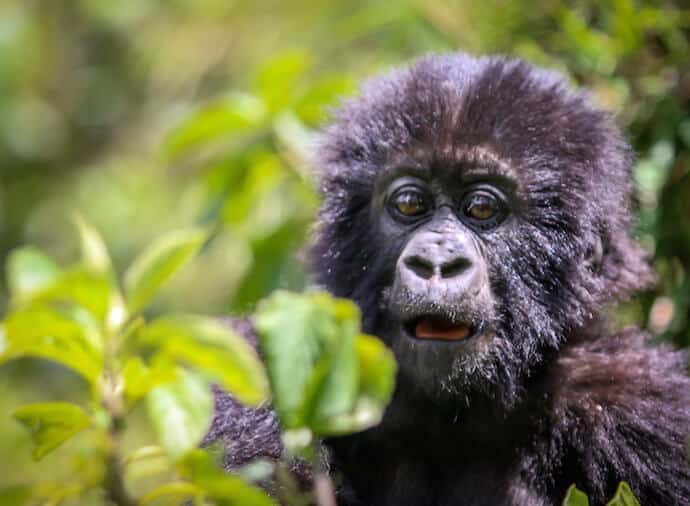 They have constructed locally owned eco lodges in Rwanda (Sabyinyo Silverback Lodge) and Uganda (Clouds Mountain Gorilla Lodge), as well as helping Volcanoes National Park extend its domain. 47) The Wildlife Conservation Society monitors gorilla populations in seven different countries, works to prevent gorilla poaching, and provides education throughout local communities. The NGO is also trying to counter the Ebola virus in wildlife, working with local people in the Republic of Congo as well as at a laboratory in the country’s capital. 48) Gorilla Doctors is an NGO that provides medical care to Eastern Gorillas in Rwanda and the DRC, treating individual animals with serious illnesses and rescuing baby gorillas orphaned by poachers. The group also administers preventative healthcare, conducts post-mortem exams, and collects biological samples to further the study of gorillas. 49) The Mbeli Bai Study monitors Western Lowland Gorillas that visit the Mbeli Bai, a 32-acre clearing in the forest of Nouabalé-Ndoki National Park in the Republic of Congo. The study examines “the social organization, life history, and demographics” of animals that visit the bai. At the moment, 21 groups of gorillas visit the site, and 23 solitary gorillas are also present. The long-term observation of a single site has revealed unique behavior amongst the animals. 50) Gorilla Conservation Coffee was founded by Dr. Gladys Kalema-Zikusoka, the first Wildlife Veterinary Officer of the Uganda Wildlife Authority and a recent winner of the Sierra Club’s EarthCare Award. 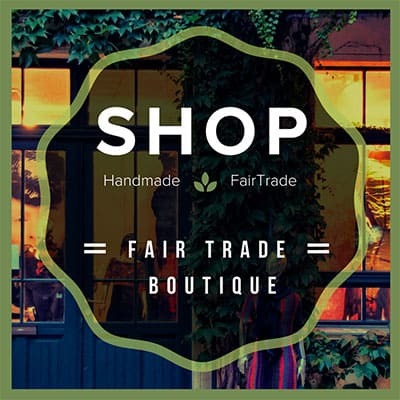 This enterprise helps farmers near Bwindi earn a fair price for their coffee and get training to grow it sustainably, with some proceeds going to gorilla conservation. All of the various types of gorillas we’ve discussed here have a vital role to play in their respective habitats. They occupy an important place in the food chain, helping to disperse seeds and maintain the area’s flora. Losing these gentle giants would disrupt the ecosystem, not to mention depriving humanity of one of our biggest, strongest, and most spectacular primate family members. Luckily, with so many wildlife conservationists and ordinary people alike fascinated by gorillas, they have a real chance at survival. 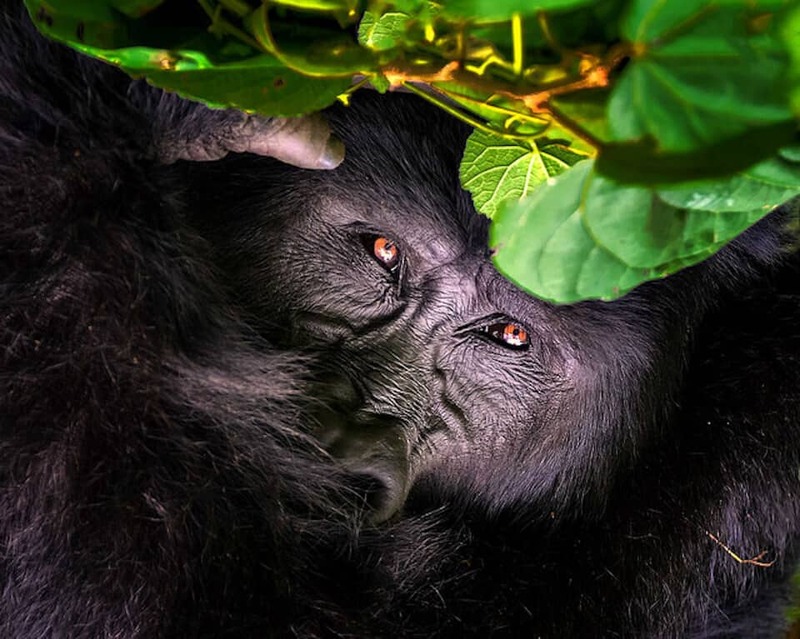 The sheer number of NGOs, government agencies, and eco-tour operators centered on gorillas illustrates just how captivating these truly great apes are. We hope that their concerted efforts (and past successes) to protect gorillas will pave the way for primate conservation on the whole. Until then, it’s important that we all do our part to keep these efforts going and growing. Though there are signs of hope, gorillas are still losing habitat, falling prey to poaching, and fighting for survival. We should each do all we can to keep them safe for generations to come. Yes. Around 1000 mountain gorillas remain. The numbers for eastern lowland gorillas are under 5,000. Cross river gorillas are critically endangered with a population of under 300. Western lowland gorillas are the most common with a population of 360,000. Gorillas primarily feed on a range of vegetation, including wild celery, shoots, roots, and fruits. They will even eat bark, small branches and tree pulp. The gorilla’s upper body is six times stronger than a humans. 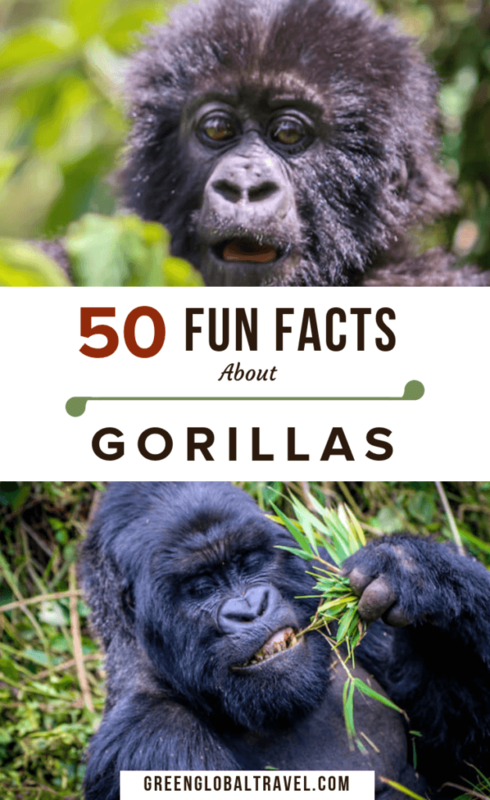 Click here to read more about Gorilla habitats. Gorillas in the wild live to be about 35 years old. Gorillas in zoos can live 40-50 years or more. How much do gorillas weigh? Smaller Western Gorillas weigh about 150-400-pound. Eastern Gorillas weight approximately 300-485 pounds. What are a group of gorillas called? A group of gorillas are called a troop or band. What are baby gorillas called? Baby Gorillas are called infants. What is special about a Gorilla’s nose? Nose prints, which are the wrinkles around gorillas’ noses, are specific to each individual just like fingerprints are to humans.